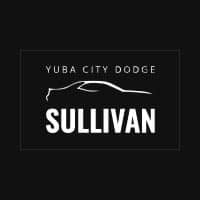 The Sullivan Auto Group stands by our friends and families impacted by the Camp Fire. This program offers eligible residents in California a $500 bonus cash allowance to be applied toward the Retail or Commercial purchase or lease during the program period. in addition to most other factory incentives. This program offers eligible residents in California a $500 bonus cash allowance to be applied toward the Retail or Commercial purchase (Type Sale 1 or B) or lease (Type Sale L or E) during the program period. Fleet Commercial Non-VIP and VIP customers are eligible to receive the retail consumer incentives if the purchased or leased vehicle is from a dealer’s retail ordered stock. These must be reported as Type of Sale B or E and Fleet incentives cannot be claimed. Customers must present a copy of their insurance claim form indicating damage to their car, truck or SUV as a result of the California Wildfires, which occurred in November, 2018. Dealer must retain a copy of the document in the deal file. Butte, Colusa, Glenn, Kern E, Kern W, Lake, Lassen, Los Angeles, Plumas, Santa Barbara, San Bernardino, Shasta, Sierra, Sutter, Tehama, Trinity, Ventura and Yuba. In the case of a lease, the minimum term must be no less than 12 months. The cash allowance must not be combined with customer down payment or other dealer provided discounts. ©2018 FCA US LLC. All Rights Reserved. Chrysler, Dodge, Jeep, Ram, Mopar and SRT are registered trademarks of FCA US LLC. FIAT and ALFA ROMEO are registered trademarks of FCA Group Marketing S.p.A., used with permission. See dealer for additional details and requirements. John L. Sullivan Chrysler/Dodge/Jeep/RAM cares.